Attention: Artists, photographers, graphic artists and designers… In fact anyone needing a top-notch solution for picture management and editing..
Set Your Photographic Creativity Free! Are you looking for a way to edit your images to create more dramatic impact? Do you want to master image manipulation to enhance your images to the highest quality? Would you like to discover how to create special effects and transform your images into a range of file formats for different uses? Learn The Secrets To Editing, Formatting & Managing Your Photographic Imagery! Whether you are a passionate amateur photographer, hobbyist or you need to carry out photo editing and manipulation for your day to day work, there is one program that is considered a must know – Adobe Photoshop CS4. This program is considered the best option for professional quality image enhancement and editing. If you are keen to succeed with your image formatting objectives, then it is necessary to master this powerful software. The question is – where should start? Digital photography and photo manipulation has transformed how we capture images and use them in a wide range of ways. While being technically skilled with your camera is important, if you need to professionally enhance the image to use in a range of ways, then you need to know how to do so effectively and quickly. The reality these days is that digital photography goes hand in hand with digital image manipulation. Whether it is to remove something unattractive in a snapshot or to create something unique for a graphic design job – photo editing and manipulation allows you to carry out a wide range of formatting processes that will enhance the appeal and quality of the photos you’ve taken. Before I get any further with telling you about professional photo manipulation, let me start by telling you a little about myself and how I am able to offer the advice you need to help master Adobe Photoshop. I’ve been working to develop programs just like this one for a number of years. Having worked with IT and software development, I realized that there were a number of people just like you – people who needed assistance to learn the ins and outs of programs such as Photoshop. When I realized there was a need to the information I had, I developed a number of online training programs which provide such information to people just like you. Through the creation and delivery of entertaining and informative study programs, I have guided a great many people to get the comprehensive information needed to master a range of software programs. Photo editing is a useful way of preparing images that you want to share with your friends and loved ones. With photo management tools, you can select the pictures you wish to share and then format them ready for viewing. If you have a desire to post them online, then you can edit them to manage that more effectively. If on the other hand, you have images that you want to use in a professional capacity, then the use of Adobe Photoshop allows you to prepare interesting and exciting images that can be included in presentations, graphic art or for the promotion of a product you are selling. Photoshop offers tools that allow you to make the images you have more interesting and give them greater impact – so you can achieve the results you need! Using Adobe Photoshop CS4 provides users with a host of software tools. This is a comprehensive range of tools that allow you to carry out color adjustments, sharpen images, change image tone, remove unwanted objects from the image and much, much more. With Photoshop, you’ll be able to adapt photos you have to other formats so that you can add effects such as movement and blur and create compressed images for easy upload if needed online. There are many reasons why people find it difficult to master new software and computer programs – let’s face it – without clear visual guidance it can be pretty daunting. Reading an instruction manual filled with jargon can often leave you more confused than you were to begin with! If this scenario sounds all too familiar, then my video series could be just what you need to turn a corner. When you sign up to participate in my video tutorial series, you’ll be given precise information that shows you exactly how to use Adobe Photoshop CS4 and get the results you need. This solution is just what you need to get real results, because unlike another dry, dull eBook – you’ll actually be presented with a visual, video guide that goes step-by-step through using Photoshop. The easy to follow format means that you get an incredible amount of hands on knowledge, so you can master Adobe Photoshop quickly and simply. The video tutorials cut straight to the heart of things, skipping the filler information that you’ll find in eBooks. Instead you’ll be presented with precise videos that demonstrate exactly how to do a range of useful things with Adobe Photoshop. Editing and managing your photos has never been easier! With all the information in this series presented in a structured format, you’ll be able to take your time and self-pace your learning. That means that you can absorb more information which you can then apply to the management and editing your own images. 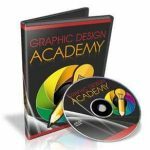 Once you complete the series, you’ll have dramatically increased your knowledge base and mastered an incredible number of applications offered with Adobe Photoshop software. If you want to confidently use Photoshop without spending days or weeks trying to decipher a jargon-filled instruction manual, then you need my video series – even if you’re a complete beginner. My video tutorials takes you step-by-step through genuinely comprehensive information on using the many tools in Photoshop. You’ll be blown away by just how much you’ll learn using these entertaining visual video tutorials – ensuring incredible image editing results! The Photoshop CS Mastery Video Series uncovers an outstanding depth of information in a user friendly tutorial program. Having someone present this guidance in a visual format is the next best thing to having someone stood in the room beside you… You rapidly improve in your ability to use Photoshop – getting a great deal more done fast – saving you masses of time when carrying out image editing. Best of all – with my video tutorials you can be sure that you’ll retain more information and understand how to apply what you’ve learned more effectively! During the tutorial in video 3, you’ll discover a number of options for cropping and manipulating images. This includes using the crop and trim tools, the crop command, transforming perspective while cropping and rotating the entire picture. When you get to video four, you’ll be receiving guidance on how to carry out color correction. Enhancing color can have a dramatic impact on your images and this is what is covered in the color correction tutorial. You’ll learn how to apply the variations command, adjust hue and saturation, colorize a grayscale or create monotones and finally how to specify the range of colors to be adjusted when altering hue and saturation. Video 5 takes you through removing pesky problems such as red eye. Photoshop also offers highly effective tools for re-coloring your images. You’ll be shown how to replace color in image areas, improving the tone and brilliance of your photos. If there are any problems that need touching up in your images, then you can’t miss video 6! In this video, I’ll introduce you to a number of options for retouching pictures with the Clone Stamp tool, the Healing Brush tool and the Patch tool. In addition to this, you’ll be shown how you can repair areas of your image using a pattern. That’s truly an enormous amount of information! These videos really will deliver everything you need to manage your photos and create striking images. The brief outline here only touches upon the full range of information included in the value packed package! Put simply – there’s not another package which provides this much depth of information – the Adobe Photoshop Video Series really won’t be beaten on content and value. The Photoshop CS Mastery Video Series is a MUST Have System. Get your copy now.